HOW DOES ULTRASOUND CAVI-LIPO WORK? Ultrasound frequencies cause thousands of microscopic air bubbles to surround the lipocyte (fat cell) membranes and with vibration, the bubbles create enough pressure to cause the fat cells to break up instantly. The contents of the broken lipocytes are then moved through the lymphatic system to the liver and are safely metabolized and excreted from the body, assisted by drinking plenty of water both the day of treatment and on subsequent days. The procedure works best to remove superficial fat layers and fat accumulation that is non-volumetric. Results can be noticed after the first treatment with more significant improvement noticed within a few days. Each treatment builds upon the previous treatment. IS IT POSSIBLE TO LOSE WEIGHT WITH CAVI-LIPO? Because you are reducing fat deposits you may experience some weight loss but Ultrasound Cavi-Lipo itself is not a weight loss treatment. 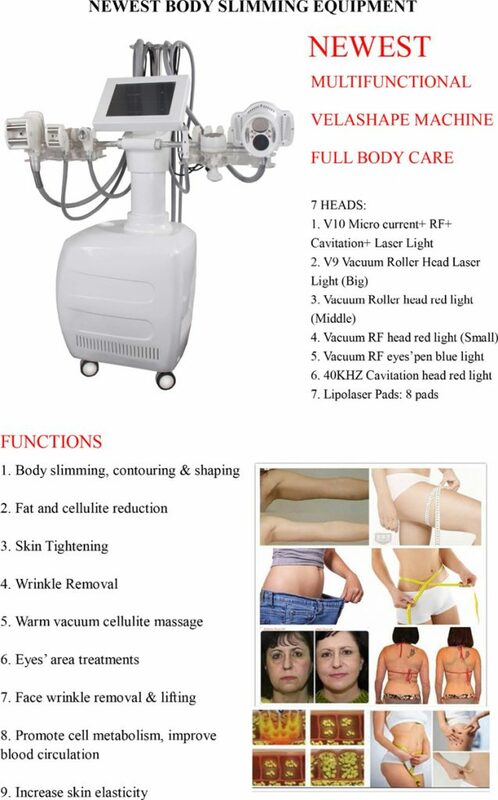 It’s purpose is to treat adipose fat and cellulite, which will reduce the circumference of the treated area. Diet and lifestyle suggestions will be recommended to follow throughout your treatment program in order to enhance the elimination of fat deposits and boost results.